Grandstream is a renowned brand in the industry of telecommunication solutions and products. Owing to its innovative technology and products, Grandstream Dubai offers you an amazing full range of telecommunication products that promise you the best of all audio communication channel. Grandstream is known for its high quality, and top standard products. The products of Grandstream have always come in the top quality, a reliable standard and of an innovative approach and technology. This is the reason that each and every product of Grandstream has the caliber to lead the market of its type. In the broadband range products, Grandstream has a huge variety of different handsets that vary in specs and features. Grandstream is known for its high quality and reliable products. If we compare the audio and video quality of the products and solutions of Grandstream with any other telecom company, then we come to know that Grandstream outclasses all the other companies owing to its easy to use interface and products built in latest innovative technology empowering businesses and making their mark in the industry. Grandstream truly provides the users with an impeccable sound and video quality in its products and excels in achieving the complete satisfaction of the user. Ever since Grandstream is launched, the products made by the company have always been manufactured keeping in view the standards of the industry and the feature requirement of the customers. This is the reason Grandstream was able to make a name in a very short time. Since then, the company is known for its high quality and professional services, solutions, and products and they are still striving hard to bring further improvements and updates in their technology and improving it by increasing the interoperation of Grandstream products with the third party VOIP SIP products. Grandstream has always been able to achieve the complete satisfaction of the customer and win their hearts by providing them with superior and reliable value. The commitment of Grandstream towards their products ensuring high quality for their customers since 2002 in their products of IP voice, video conferencing and video surveillance technology has made them win the best designer award for their telecommunication products and solutions. Grandstream is an innovator in telecommunication products serving customers who require excellent communications to power their business. Grandstream PBX has forged an international reputation for its communications products. With Grandstream PBX you can transform your business, no matter whether it has two or 2000 employees. Grandstream telephone systems designed in a way that up gradation of your infrastructure never is a problem. Grandstream Telephone system is an all-in-one solution specially designed to meet the communications challenges facing small and medium-sized businesses.It can scale up to 2000 extensions to meet the needs of home offices, standalone businesses, and networked branch and head offices. SMB’s can benefit from many of the advantages of Grandstream PBX System sophisticated communications deliver to their operations. Grandstream supports a broad range of SIP IP phones including Grandstream IP phone itself. Grandstream IP Phones provide small and medium sized businesses with a choice of solutions to meet business efficiency and customer service requirements. Grandstream PBX System supports both single locations and multi-site networks with Basic call center and voice messaging capabilities.It can be configured as a voice-only PBX, using traditional circuit-switched lines and Grandstream FXO gateways, or as an IP telephony server using high-speed ISDN / PRI direct leased line connectivity, Analog CO Lines, and SIP trunks. Grow at your pace and budget – Invest with what you need now and expand as your business grows in cost effective way. By stacking multiple PBX systems together, you can quickly increase the system capacity.With Grandstream office telephone system, you can add advanced applications and capability as you grow, when you grow. Mobility – Keep being accessible with easy, flexible options for call/message forwarding, twinning, and one-number access. Grandstream Phone system keeps everyone in touch with the free Grandstream mobile applications for Android and iPhone. Get the freedom to go where you want and never miss important business calls. Link multiple offices together – Grandstream Phone System provides businesses with multiple locations to connect each other and allow feature transparency between sites. The ability to interconnect phone systems and share telephone lines between offices reduces call charges and drives long-term profit. Host your conference calls – Grandstream IP Telephony enables cost-effective collaboration by utilizing the IP Office’s built-in conference bridge. It supports maximum up to 64 conference attendees. Grandstream offers you a huge variety of different VOIP phones manufactured according to the requirement of business. Therefore, whether your business is of any size, you will surely find a product from Grandstream that shall be per the size and type of your business. Whether it is a small business or an enterprise business, Grandstream Phones Dubai excels in each and every kind of audio communication channel.Grandstream IP Phones can use with any IP PBX SYSTEM which uses SIP platform. The largest telephone companies in Dubai and enterprises always use the products of Grandstream as it is more reliable and affordable. The IP phones of Grandstream are available with lot many features that include a high-resolution LCD screen, extension module options, HD audio support and a lot many more features. Grandstream IP Phone Dubai always provide the user with a very friendly user interface that incorporates many advanced Telephone calling features. The businesses, residential users, retail and warehouse users can mobilize the power of VOIP technology with the help of Grandstream IP Dect phone series and move around in the office, retail store, home or warehouse without sticking to a particular place. 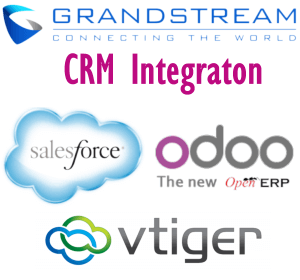 Grandstream integrates real-time communications capabilities with CRM software to improve productivity and enhance customer service. Users can click to call directly from contact lists and CRM customer records. For incoming or outgoing calls, a desktop toast pop-up notification displays contextual information about the client and gives the user many productivity options.With the Grandstream CRM Integration solution for Salesforce, Open ERP [Odoo] and Microsoft Dynamics users can benefit the power of CRM while attending and making the calls.Think about creating leads or Cases with the help of incoming call popup. Moreover, it will show the existing records in a database by matching the caller number. CRM Telephony Integration Improves productivity through time saved not having to search for customer contact details, create customer activity records, or manually dial numbers.Your business can enhance customer service by, facilitating more personalized, well-informed conversations. What are you waiting for ?. 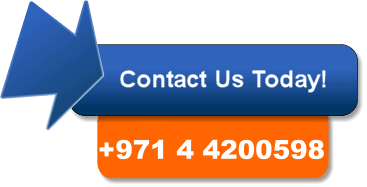 Call us today to get the best Business Telephone System available in Dubai, UAE.